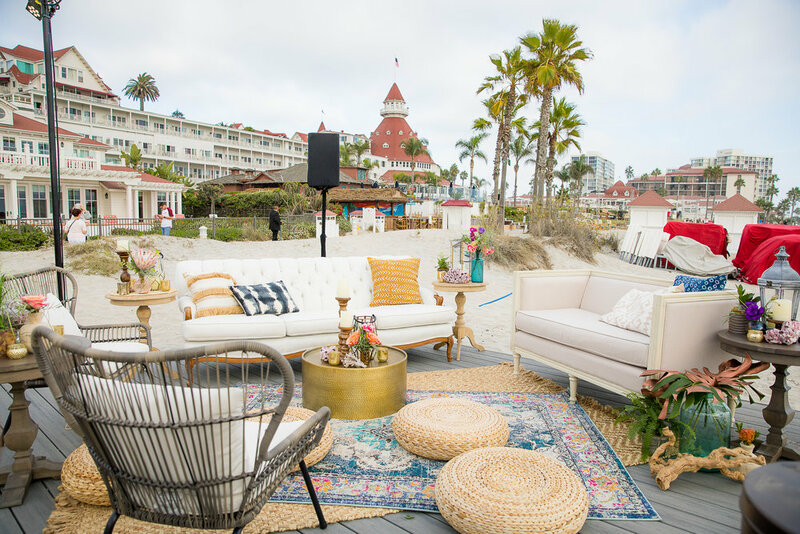 At this intimate welcome reception at the Hotel Del Coronado, we created an inviting beach party for 24 exclusive VIP guests. 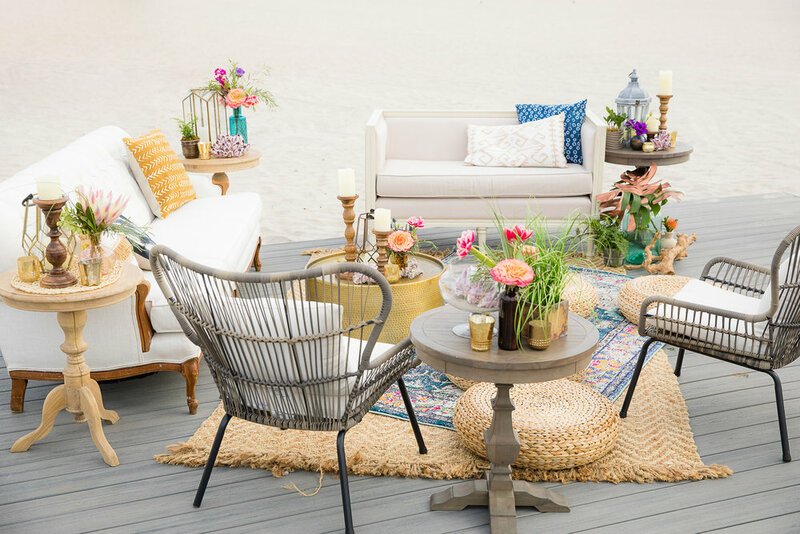 The “Bohemian Beach Vibes” theme was inspired by SoCal living at its finest. We wanted luxury and sophistication, yet comfort and style. 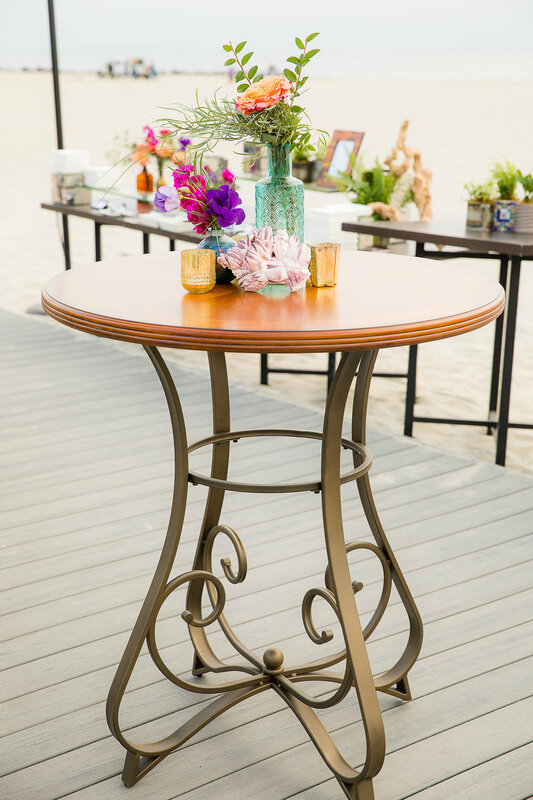 A soft seating area and pub tables provided a hangout spot for cocktails and desserts, while the shibori-printed bar took center stage. For dinner, the Hotel Del offered delectable food stations featuring fresh Ahi Poke Cups, Short Ribs, made-to-order Gnocchi, fresh Watermelon Mint Salad, and Miniature Desserts (including the most delicious Key Lime Pie Shooters ever!). 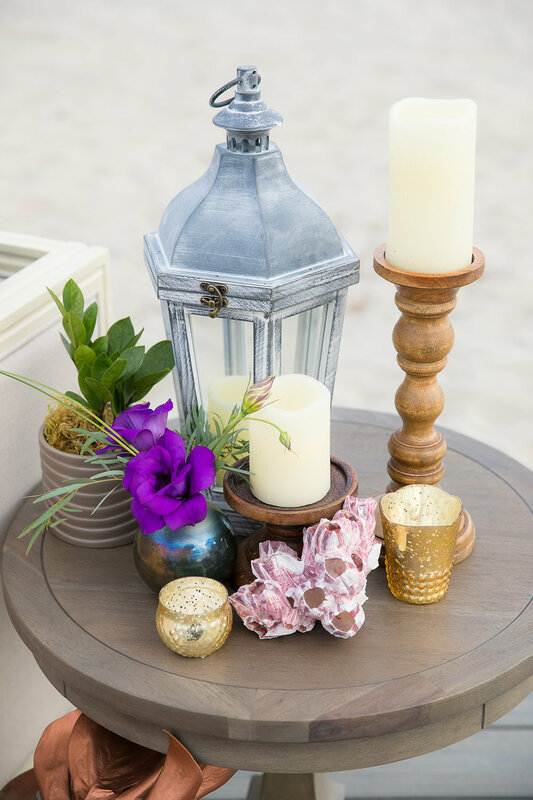 We invited guests to be seated at one of three farm tables, which were topped with canopy-style structures and hanging rattan lanterns. 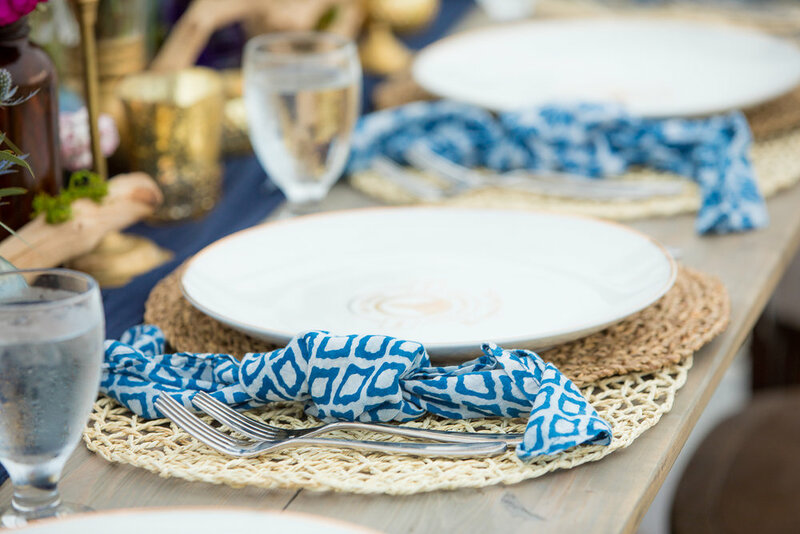 Tabletops featured a mix of wicker place mats and blue patterned napkins, a lush navy velvet table runner dripping over the edges, topped with centerpieces of floral and beach-inspired decor. 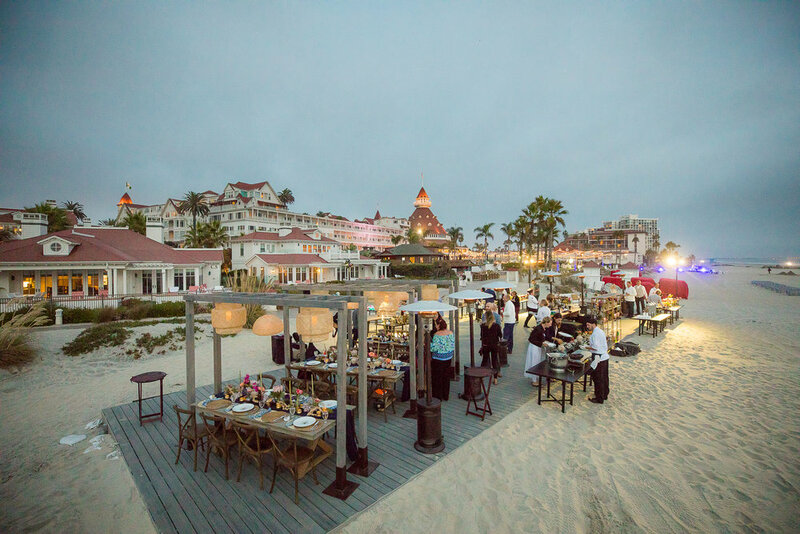 Musical sounds by a talented local singer-songwriter, followed by a beach-side Fireworks show, completed the night’s entertainment. Needless to say, our guests were awe-struck.